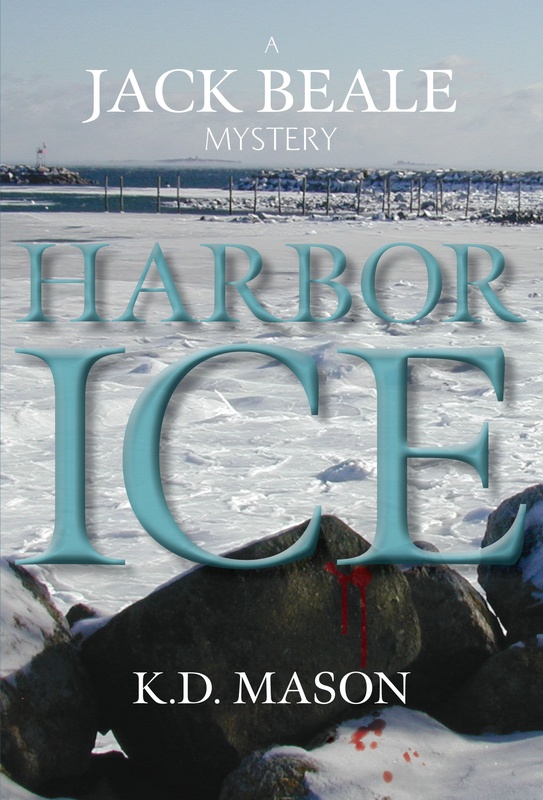 In the tradition of James Patterson, Harbor Ice is a breakneck page-turner that races from the New Mexico heat to the icy New England coastline, featuring an amateur sleuth who quits his armchair for a quick pair of running shoes. A sharp thriller adorned with a genuine romance, compelling characters, and a few refreshing happy hours. "Changing Tides is the second book in K.D. Mason’s Jack Beale Mystery series. However, you need not read the first book to appreciate the second. Similar in style to Robert B. Parker’s Spenser novels, Mason’s main character Jack lives in Rye Harbor, New Hampshire and most of the events take place in or around the New Hampshire seacoast. However, in this novel, a good part of the story takes place in the turquoise waters of Belize. The story was gripping and wondered while reading the adventure, whether or not Mason pushed Jack and his love interest Max, to the breaking point. Would the two lovers ever be able to be together again or would this mystery and the fiendish Daniel tear them apart." " I was on the edge of my seat devouring this page-turning thriller! Tales and mystery from hundreds of years past make their way into the current-day lives of a couple running a quaint New England inn. When one is found dead, Jack and Max, of course, find themselves in the middle of the action. I couldn't put the book down until I found out who did it, and, most importantly, if Jack and Max survive. With an insight into the human psyche and careful attention to detail, K.D Mason carries you to different worlds, and through the minds and motives of madmen and lovers. " In his novel, Black Schooner, K.D. Mason highlights familiar old friends: Jack, Dave, Tom, Max, Patti, and “Cat.” As the story progresses from the sparkling blue waters of Belize to Camden, Maine, and the Isles of Shoals, the intrigue builds, with new people and places that make it impossible to put the book down. Page by page, past events resurface with startling revelations, and as the deeper human elements of these characters rises to the surface, readers will be screaming for the next volume in this enticing series. I’m a lush for entertaining books, and Jessica’s Secret met all of my expectations. The opening chapters present a harrowing start off the NH coast in 1942, and I was pleasantly surprised at how easily K.D. Mason shifted his tale to present-day New Hampshire. This book, like the rest of K.D. Mason’s books, pulled me into the world that Jack, Max, and Courtney inhabit. They have become my friends who live just down the road, and I can’t wait to run with Jack or sail on d’Riddem. If you are looking for a fun read with mystery, suspense, and—of course—romance, Jessica’s Secret is for you.
" Get ready for another sleepless night with Jack! He is back! Romance, friendship and a killer is on the loose. KD Mason's Jack Beale is the Seacoast of NH's version of Lawrence Sander's Archie McNally in Palm Beach, Florida." K.D Mason's latest, EVIL INTENTIONS, in the Jack Beale mystery series is yet another treat for lovers of mystery and intrigue with his talent for creating flawed but loveable characters and despicable villains. Hooray! K.D. for delivering another can't-put-it-down romp with Jack Beale! UNEXPECTED CATCH, K.D. Mason’s sixth installment in these clever New England mysteries gripped me more than ever as I dove into Jack’s complicated and dangerous world. The Atlantic Ocean plays a starring role in this life-and-death adventure for Jack and his friends, who live, run, and work along its dynamic coastline. Humor sparkles through the sinister and frightening events in Unexpected Catch, entangling Jack in a net of ever-deeper intrigue. Fans will be pleased that Cat, the charming kitty, continues to play a soothing role amongst the growing chaos. Thank you, K.D., for this exciting read! K.D. Mason’s Canceled Out grabbed me and wouldn’t let go! The suspense … mushrooms into a crescendo of mystery and intrigue that is totally captivating! The characters are interesting, the running scenes are fun and fast paced, and the game of cat and mouse is gripping. Every turn of the page brings a new twist.… Just don’t start it at bedtime—you’ll be up all night finishing it!